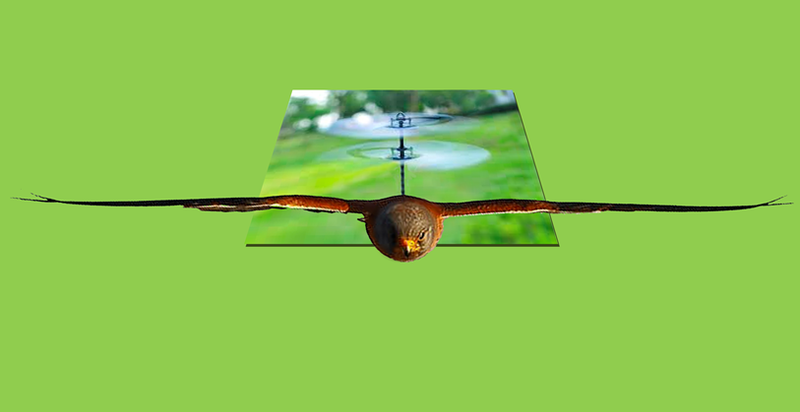 The company Kowat has designed biomimetic drones to fight in a sustainable way against bird pests in agriculture. Bird pests are one of the biggest problems that farmers in our country must face. But many of the solutions proposed to scare or eliminate directly the birds that ruin economic activities are contrary to the preservation of the environment and in many cases are not effective. A creative and sustainable solution to this problem has come hand in hand with the Sevillian company Kowat , who has been working on a scarecrow or biomimetic drone for almost 15 years. The main "biological weapon" that uses is the fear and stress that causes in the birds that attack the crops ... This unmanned airplane that mimics in the sky adopting the appearance of other birds, is built with 70% recyclable materials and displays the typical flight of birds like the hawk, the hawk or the goshawk. The secret is to "disguise" the drone in the species that fears the invading bird, causing fear and driving it away with an effectiveness of 90%. Not only is it worth reproducing the aspect of the bird that bothers and instills fear, it is also studying and reproducing the flight of the "attacking" bird in a remote-controlled way so that invasive species feel that it is real. One of the strong points is that it does not generate any environmental impact or harm to the birds, a great advantage by avoiding the use of lethal methods and contributing to maintaining biodiversity by avoiding the use of nets and nets in which birds can get entangled and die drowning or hunger. It is interesting to talk with Paco Morente, founder and scientific director of Kowat who has been studying and learning how to carry out a project that now faces its commercial production. But before talking about his creation he insists on emphasizing animal psychology, the ancestral fear that persists in animals from generation to generation. It also highlights that the drone can, in addition to being used in crops, also find its place in large cities or airports. Directed manually or by satellite using automatic pilot, it is able to stop the attack on crops and fish farms of other species such as herons, cormorants, gulls or sparrows. But apart from the passion that Morente gives off, the guarantee of his system is also found in the fact that institutions such as Marca España , the European Space Agency (ESA) and the Higher Council for Scientific Research (CSIC) have set themselves in their flying machine. in the Doñana Natural Park. Other institutions such as the General Directorate for Sustainable Development of the Rural Environment of Andalusia and the Andalusian Agency of Knowledge belonging to the Junta de Andalucía have been key to the development of the project. In the area of collaboration and financing, the project has received the support of the Tecnalia platform. Recently, the Global Green Economy Day and the Climate Movement in Madrid have been held, highlighting the need for "eco-entrepreneurship" to preserve our Planet of Climate Change. Likewise, an original contest was organized in parallel, the Climate Champions Awards , to recognize the work of "eco-entrepreneurs" and SMEs whose business solutions have the most potential to face climate change. Among the 15 designated by the jury is Kowat, this project that seeks to solve bird pests in different areas in a sustainable manner and reconciled with the environment.